If the doctor determines that you are unable to work as a result of your work-related injury, you are entitled to temporary total disability benefits while you are unable to work recovering from surgery. If you are unhappy with the doctor the insurance company assigns you, then you may ask once for a change of physician. If you receive permanent injuries, you are entitled to an impairment rating from your doctor and permanent partial disability benefits from the insurance company. Unfortunately, insurance adjusters are trained to look for reasons to deny your claim before you even get started. Insurance carriers do not always fairly explain your rights under Arkansas law, and they will perform investigations and take recorded statements designed to deny your claim. Remember, the insurance adjuster is trained to know the nuances in the law, and can coerce you to say things that hurt your claim. If your claim is denied, you still have options and can ask for a hearing before a qualified Work Comp Judge. A denial doesn’t necessarily mean you won’t receive benefits, but you will need to litigate your claim and understand key evidence to introduce to win your case. If your claim has been denied then I would highly advise you to hire an experienced workers’ compensation attorney that knows the various complexities of the Arkansas Workers’ Comp Laws. The Law Office of Jason M. Hatfield has been representing injured Arkansans with their workers’ comp claims and appeals for over 20 years. 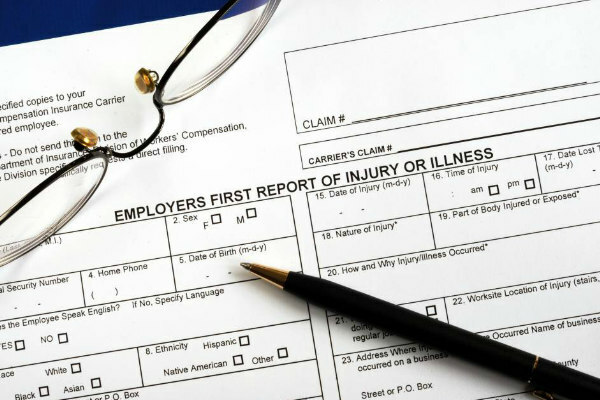 There are many reasons an employer may initially deny a workers’ compensation claim. Failure to promptly report the accident or injury to the employer. Failure to have a corroborating witness statement from a co-employee. Failure to identify a specific incident in time and place that caused your injury. Failure to prove the injury resulted when you were performing employment that benefits your employer directly or indirectly. Failure to prove your injury is a new injury as opposed to the injury being a pre-existing condition. Failure to identify your injury with objective medical evidence, which is defined as beyond your control and more than your complaint of pain. Failure to receive your medical treatment from an authorized Work Comp medical provider. Failure to follow the authorized Work Comp doctor’s recommendations. In addition to the scenarios listed about there are also more complex reasons for denials made by employers which almost always require the assistance of an experienced workers’ compensation attorney. Employee was not providing employment services during the time of the work-related accident. Employee was engaging in horseplay at the time of the injury. Employee is intoxicated or tests positive for illegal substances. Employee suffers an idiopathic fall which was the result of a pre-existing medical condition. Employee is alleged to be an independent contractor, and employer is therefore not required to provide Work Comp benefits. You can also visit our Reasons for Denial page to learn more about each of these scenarios. If you feel like you are not receiving the benefits you need, i.e., mileage reimbursement, prescription medication, recommended medical treatment or lost wages, contact the Law Office of Jason M. Hatfield, P.A. today. When hired, my firm will immediately file a Form-C. A Form-C is a complaint filed with the Arkansas Workers’ Compensation Commission which requires the insurance companies to respond with the reasons they have denied your claim. There are times where the insurance companies change their position and accept your claim once we file the Form-C. However, if the employer continues to deny your claim, we will proceed with requesting a hearing be set before an Administrative Law Judge (ALJ). For more information on the formal appeal process please see Appealing a Denial of Workers’ Compensation Benefits. How can an Arkansas Workers’ Compensation lawyer help me? If you have questions about a denied claim, or any part of the workers’ compensation process, take advantage of a free initial consultation with an experienced accident & injury lawyer. My law office can help you understand how Arkansas workers’ compensation laws apply to your situation and tell you about your options for moving forward.